Powered by a standard AA or 14500 battery. 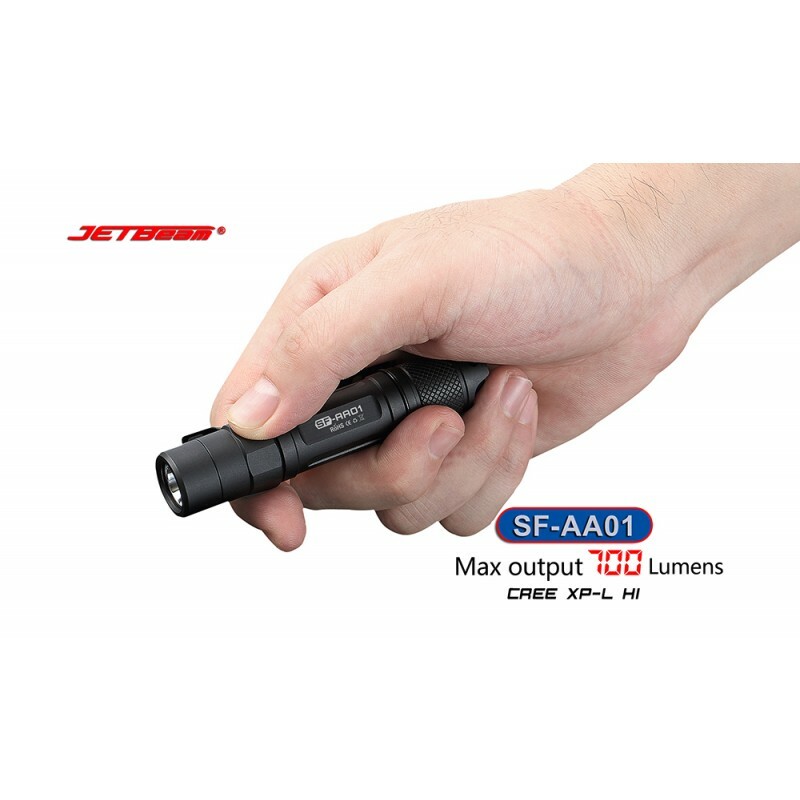 The SF-AA01 can achieve up to 700 lumens on a 14500 and 150 lumens on AA. The XP-L HI gives it 142 meters of throw with a 14500, a bit of punch for its small size.